Why are you going to the range? To improve your game, or for the entertainment factor, or even both? Whatever your motivation, we want to give you the best possible experience. One that keeps you coming back again and again. TrackMan’s Tour technology is finally accessible to everyone. 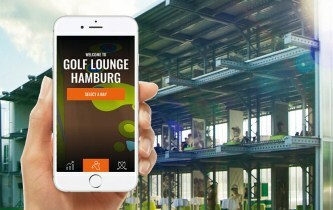 Immediately, the Golf Lounge will be one of the most modern driving ranges in Europe. With TrackMan Range you can start from 15. February train like the pros. With the new app, the training for you to a special experience with accurate ball flight analysis, readings and all training data. Now you get accurate and instant feedback on your performance – right on your smartphone. 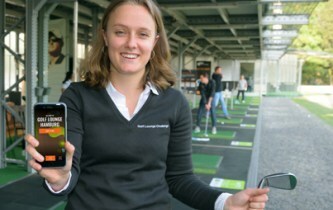 The free app combines TrackMan’s training functionality with fun shared games with friends on the driving range. TrackMan has something for everyone. Members pay no extra for TrackMan usage. We want to offer our members and guests the best technology for training and gaming. TrackMan is a radar that is standard on many professional players and internationally renowned coaches today. With TrackMan players can not only measure their club lengths but also analyze their swing in the smallest detail. The new TrackMan Range app can take measurements like carry and total meters, takeoff angle, ball speed and height. TrackMan Range’s market-leading radar technology will be available for training at all levels in the Golf Lounge from mid-February via the free smartphone app. Whether training or gaming with the new TrackMan Tour technology is something for everyone. Via the WLAN network you can easily and quickly dial in on all three levels and immediately start your training. The app offers players and groups instant results and metrics in real-time analytics. Through the various training levels, the playful performance is promoted. Under the created player profile, all data can be conveniently and easily viewed from home. Follow every ball on your phone with instant feedback on the playful achievements. The app is engaging for every level of play, from the beginner to the professional player, anyone can use TrackMan Range to effectively improve their training while having fun with friends. Whether sunshine or rainy days regardless of the weather can start the training in the Golf Lounge! 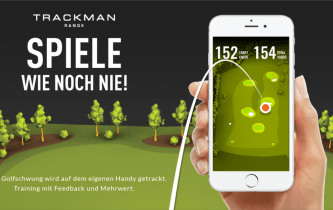 Improve Your Game Have fun gaming and training with the new TrackMan Range App!